This is the first time we’ve had an insanely crazy few weeks around this time of year. It’s usually just work being hectic and I watch from the outside as other parents tend to rush about from one year ending school event to another, trying to juggle both work commitments with parental commitments. This year, the schedule of commitments just kind of exploded all over the place. There was sports day, which was just as cute as last year. Then there was parents evening at preschool, parents evening at new school, end of year party outside, summer fayre, water party, end of year party inside, stay and play session, teacher home visit, and drop off session. HOW does a four year old have such a fantastic social life? I would go onto say his keyworkers must be exhausted but after two years of seeing them in non-stop action I suspect they are amazing robots. Kind of like Mercury man from Terminator 2; completely unstoppable. Obviously the complete opposite of the violent thing portrayed in the movie. Else that would just be bad. And then just to make sure I lost my mind a bit more there was hospital appointments for baby growth scans, consultant appointments, diabetes appointments, GP visits and midwife appointments. Oh and then normal work in between it all! Throw in the mad obsession to get myself “organised” and it’s no wonder I was almost a screeching hormonal banshee by the end of it. I *may* have fully embraced the banshee-ness at one point but I did return from it. Eventually. So this week I am pretty proud of the fact that I haven’t gone totally insane. At least I think I haven’t gone insane and hopefully I haven’t just made myself deaf from all the screeching. Despite it all there has been more than a few golden moments. Sports day is always one of my favourites. Last year we had sports day which was just so cute, watching all the little kiddies running about and having a tonne of fun doing everything but running towards the finishing line. This year it was just as cute but I could see a huge difference in Little Z. Last year he ran about the cricket pitch in random circles loving every second of it. This year he looked so focused and ran straight towards the finishing line and back again to tag his partner, and the concentration went on in every race. They won some and they lost some but he was so good. It’s true a year makes such a difference. And they learn such an immense amount simply through playing. I am going to miss pre-school a lot. I think keyworkers could rule the world. Its your turn to link up! 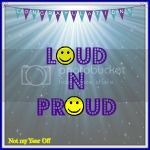 All you need to do is grab the badge and link up a post of any proud moment, whether it be old or new! It would be lovely if you could visit a couple of others too. Come back next week when Suzanne from 3 children and It will be hosting. This entry was posted in Family and tagged end of pre-school, End of year, sports day, starting big school, starting reception. Bookmark the permalink. It was a bit I think! Thankfully the calming light is in sight now so things should be a bit quieter …hopefully! You do have a lot going on. Good to see Z so focused on his sports day. He’ll be an old hand when he starts school. It was so lovely to watch them. They grow so much in just a year. You wonder why they don’t space it out a bit. I didn’t know if I was coming or going! Oh yes, I can totally relate to this – but as you follow me on Twitter, you would know that! Total craziness at this time of year 🙁 Sounds like yours went in to overdrive too. Well done for getting through it. And breathe…. I think I’ve finally take a breath!! Mental few days huh? They so do. And I’ve heard a little rumour that it just gets more hectic over the years! Blimey, slow down, pregnant lady!! I’m exhausted just reading all of that. It’s true though, come the summer months, school seems to ramp up its open days, fairs and sports events. It’s madness. Thankfully, the summer holidays arrived today so we can calm things down a bit. I hope so. He’s loving the idea of it. I think I may be a bit more nervous than him!